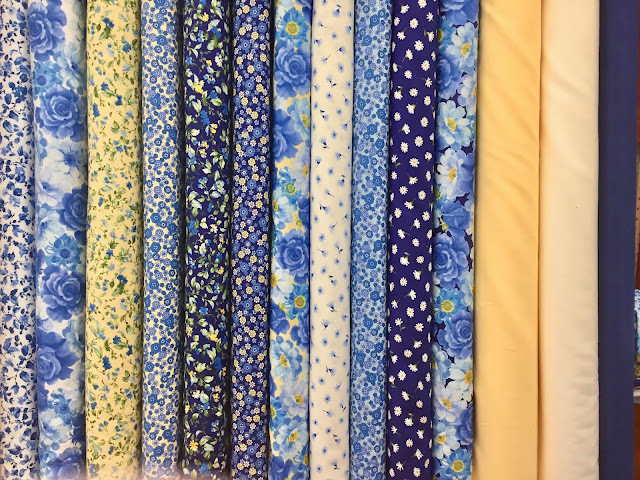 New at the shop from Moda Fabrics - Summer Breeze VI. These gorgeous fabrics include flowers big and small, all in lovely shades of blue and yellow! we have fabric on the bolt, layer cakes, charm packs, jelly rolls and mini charms!